Home > Case Studies > From Wish to "Wow!" For Collingwood School, the playground dream began with a growing student population and a long wish list submitted by the students. “We needed a more challenging playground which would accommodate our growing school. 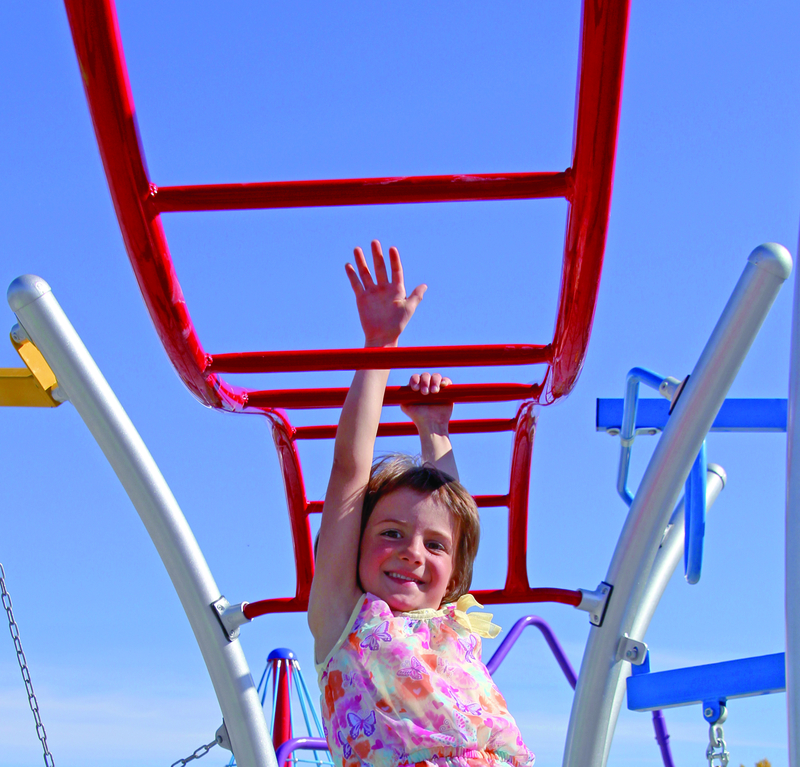 The kids wanted a fun playground, where they could play grounders and other games,” explains Melanie Zimmer, chair of the Collingwood School Playground Team. Taking into consideration the needs of the school, the wishes of the parent committee and the students’ wish list, our design team worked hard to create a structure that would please everyone. We designed the Collingwood playground to provide fun and challenge for a large student population of varying ages. Components that are easier to navigate were strategically located on one end of the structure while more challenging pieces were placed on the other. This strategy encourages children to spread out and to choose age-appropriate play which reduces congestion and increases safety for all users. In order to facilitate the students’ favourite game of grounders, we made sure that every component on the playground was linked to the next to create a continuous play experience. We also worked hard to include absolutely every item on the wish list into the final design. The end result was an action-packed playground with a huge variety of play value in a kaleidoscope of colour. In short, we managed to turn the wish list into a big “wow”. “Parents from around the community are bringing their kids to play after school and on weekends. Our new playground has really brought the community together, and it’s even become a “destination playground” where people from around the city are willing to travel,” says Melanie. Everything on the students' wish list was incorporated into this spacious design. The eye-catching Dino Loop offers balancing activities, motion and dynamic play for multiple users. Super fast sliding action on the Triple Dip stainless steel slides provides non-stop thrills. Climbing up, down and sideways builds lower body strength and co-ordination. Net-based pieces such as the Rope Stack and Jungle Crossing add a dynamic element to the play.